Bombardier Commercial Aircraft has launched a new 50-seat regional jet and signed United Airlines as the aircraft’s launch customer. The Canada-headquartered manufacturer said the aircraft would be part of its CRJ family of aircraft and be called the CRJ550. 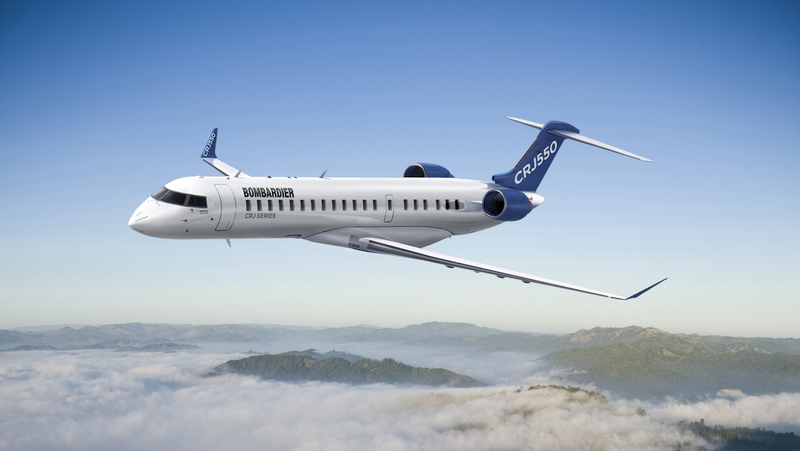 Further, the aircraft would have a type certificate based on its existing CRJ700, Bombardier said on Wednesday (Canada time). 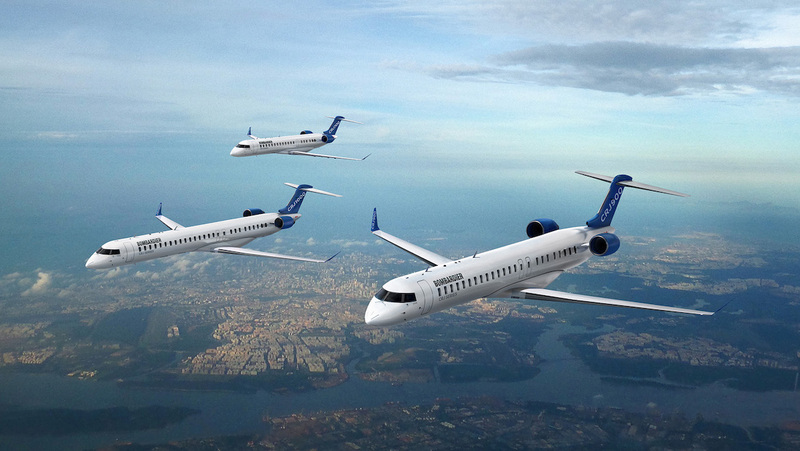 “The new CRJ550 model is the only solution in North America that can replace the existing fleet of ageing 50-seaters, a market of over 700 aircraft, Bombardier Commercial Aircraft president Fred Cromer said in a statement. United said it planned to introduce the first of 50 CRJ550 aircraft during the second half calendar 2019, subject to government certification. The aircraft would be configured with 10 first class, 20 extra legroom economy and 20 standard economy seats. “The CRJ 550 aircraft will eventually replace existing single-cabin 50-seat aircraft and will bring a higher percentage of two-cabin departures to smaller cities across the carrier’s network,” United said in a statement. Bombardier said the CRJ500 would be “the only family of regional aircraft that can offer three-class cabin across all-market segments, while meeting the current operational requirements”. “One of the key benefits for the US operators will be to leverage the cockpit commonality from the CRJ200 to the CRJ900,” Bombardier said. The proposed CRJ550 would be the fourth and smallest aircraft in the CRJ family. Currently, the CRJ program comprises the CRJ700 (up to 78 seats and 1,400nm range), CRJ900 (up to 90 seats and 1,550nm range) and CRJ1000 (up to 104 seats and 1,650nm range). The decision to launch a new regional jet comes after Airbus acquired a majority stake in the CSeries program, a two-aircraft family designed to carry between 100 and 160 passengers, in 2017. The CSeries was rebranded as the Airbus A220-100 and A220-300 in July 2018. Then in November 2018, Bombardier sold its turboprop commercial aircraft business to Longview Aviation Capital, the parent company of Canada-based aircraft manufacturer Viking Air, for CAD$300 million. The deal, which was expected to be completed by the second half of 2019, covered the in-production Q400 as well as all assets, intellectual property and type certificates associated with the out-of-production Dash 8 series – 100, 200 and 300 – aircraft. Viking Air recently started building the DHC-6 Twin Otter after a long period where the type was out of production. It also holds the type certificates for out-of-production DHC-1 through to DHC-7 de Havilland aircraft. Bombardier’s third-quarter results showed there were 56 outstanding orders for the CRJ family of aircraft and 66 outstanding orders for Q400 aircraft at September 30 2018. The company has been working to reduce the debt that built up during the development of the CSeries program. Further, it has said previously the sale of the CSeries and Q400 would allow it to turn its “full attention” to the CRJ. “As we continue to actively participate in the regional aircraft market with our established, scope-compliant aircraft, our focus is on reducing cost and increasing volumes while optimising the aftermarket for the approximately 1,500 CRJs in service around the world today,” Bombardier said in November 2018. In this part of the world, Qantas’s regional fleet includes 45 Dash 8 aircraft flown under the QantasLink brand by subsidiaries. 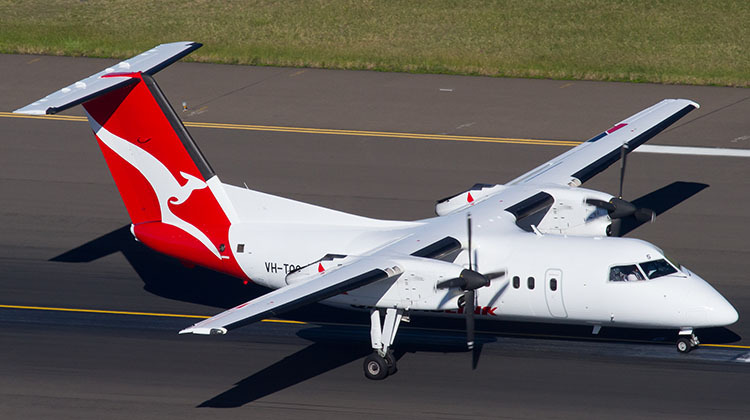 This comprises 31 Q400s flown by Sunstate Airlines, as well as 16 Dash 8-Q300s and three Dash 8-Q200 flown by Eastern Australia Airlines both under the QantasLink banner in Australia and for Jetstar in New Zealand. All aircraft are going through a refurbishment program due to finish by the end of 2019. Bombardier was due to release its calendar 2018 full year results on February 14. It’s a CRJ700 fitted with fewer seats and a new type certficate. It’s to get around some labour/union/operating rules/procedures regarding A/C that are over 50 seats. Correct. UA yells “Hey, look we put comfier seats in the aircraft”. What they mean is “we worked out a way to fly the CRJ700 getting around the scope clause”. Probably good money that they’ll have the scope clause on the table next negotiation to increase it… and any increase they get means more seats will go into this jet.